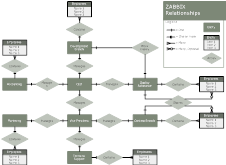 Welcome to the Zabbix project! Zabbix Team appreciates efforts of our supporters, contributors and promoters. If you'd like to stay on top of the development, download our nightly builds. These are produced from current development snapshots of Zabbix, straight from its SVN repository. The builds are generated twice a day at 00:00 and 12:00 UTC time. Building the nightlies may fail occasionally - that's part of why we do them. If that happens, you're welcome to report any problems by contacting us directly or registering the issue in Zabbix Support System.